Originally from upstate New York, Joe has been a Florida resident for over twenty six years and lived in Montverde since 1994. He has witnessed first-hand the changes in Lake County with growth and development. Joe was elected to Montverde Town Council in 2006 and has served continuously following seven years on the Planning and Zoning Board. He has sat on the on the MPO Board (Lake County Metropolitan Planning Organization) for over eight years which plans all new roads, railroads and biking trails for all of Lake County. He is also a member of the Lake County Elderly Affairs Board representing District ll. The board directs all services in Lake County for the Elderly. He is actively involved in the South Lake Community Foundation. This is an organization that helps fund different grants and puts together programs such as “backpack”, which provides school supplies to students and also food during the summer months when they are out of school. Joe was recently recognized by the Board of Commissioners with their appreciation for the many hours of service he has volunteered to the Arts and Cultural Alliance Organization in Lake County. He is active in Montverde where he leads the Friends and Families of Montverde. The group helps to encourage local people to come out and get involved with local community events. Favorites of the group are the regular meetings, monthly Bingo plus events like Trunk or Treat, Valentine’s Day Dance and the annual Flea Market. In addition to his political responsibilities, Joe is an experienced businessman with over thirty years as Vice President with a major national corporation. He is now the owner of two local businesses. He is an active member of his church and volunteers with several local charities. In his leisure time he likes to play golf. Jim is a lifeweb_peacock.jpglong Florida resident and has lived in Montverde for the past twenty years. He is married to Robin for twenty six years and has two daughters, Bethany and Cassie. Jim has had an extensive career in Commercial Construction for over forty years. He performs monthly water sampling from Lake Florence for the UF Lakewatch program and also maintains the aeration system in the lake. His hobbies include water skiing and wood working. Jim attended Pine Hills Elementary School in Orlando and went on to graduate from the University of Florida with a Bachelor of Arts degree in Political Science. He also attained a Masters Degree in Public Administration from the University of North Florida. Jim has had an extended career in Law Enforcement with the Jacksonville Sheriff’s Office before retiring in 2008. His parents moved to Montverde and purchased the old Montverde Fish Camp. Jim and his wife Judy, along with their youngest daughter also moved to Montverde and renovated the old homestead. They have six children and seven grandchildren. For several years Jim has served the Town on the Public Safety Committee and is currently serving his second term on the Town Council. He has a passion for government and political processes as well as history and enjoys motorcycling and outdoor activities. Billy is a Navy Veteran and now works for a major insurance company as a Licensed Adjuster. He has been married to Tiffany for eighteen years and has three children ages 14,11 and 5. 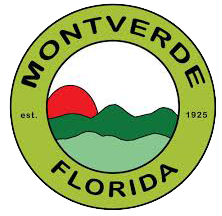 The unique character and small town atmosphere of Montverde drew him and his wife to the town which has been their home for over twenty five years. Prior to serving on Council, Billy served as a member of the Planning and Zoning Board. He has been on the Town Council on and off since 2006 including four years as Council President. Bill is passionate about outdoor persuits and enjoys fishing and hunting. Allan is a native of South Lake County and graduated from Clermont High School in 1976. He and his wife Dianne, have been married for nearly 3 decades and have been residents of Montverde for more than ten years. They have four sons; three of which have, or are serving in the United States Airforce. Allan worked in his family’s citrus grove until the freezes of the 80’s, but has spent the last thirty-three years as EHS manager for Whitaker Oil. He still enjoys involvement with the local agricultural community, and also believes in environmental responsibility and controlled growth. Allan served on the Montverde P&Z Board for three years and also worked with the Public Safety committee. He and his wife are members of First Baptist Church Orlando where he enjoys playing Tuba in the Orchestra. Allan is passionate about American history and enjoys hunting.